How to Create a Great Presentation | Download PowerPoint Mindmap now! ConceptDraw MINDMAP is an advanced tool for creating professional-looking presentations. You can effectively generate, change, and update your presentation that meets your needs. Adding new slides and pages and viewing resulting document is intuitively simple. When you are timeless to prepare a presentation, you have an ability to use the default presentation. Sample 1. 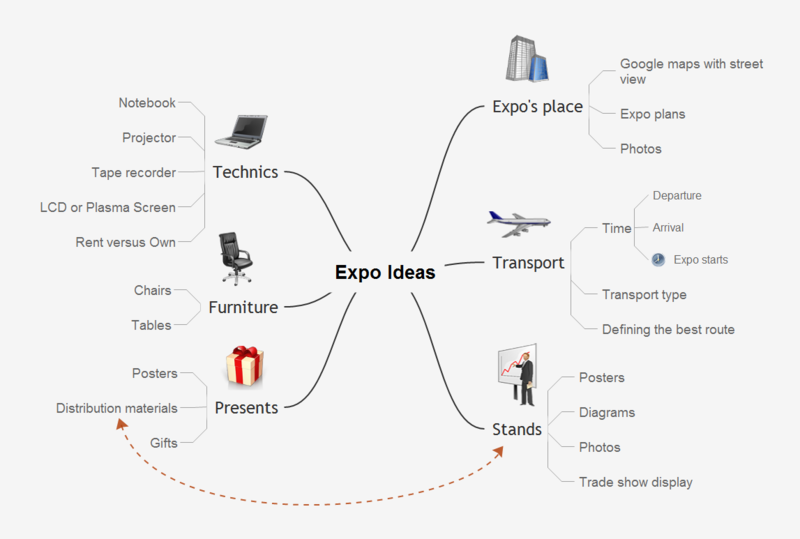 Mind map presentation - Expo ideas.